I will start this post by asking how was your new year celebration? Did you do anything special to celebrate the arrival of 2015? Hubby and I managed to stay up until midnight despite having little sleep the night before. We decided to stay home, ordered Domino's pizzas with some beers. Little tyke went to sleep at 8.30pm and that gave us some quiet time and we decided to rent 'The Equalizer' which has Denzel Washington as the lead actor. I have always been a huge fan of his movies and this was another winner. He never disappoints, just a brilliant actor. So that was our new year celebration, might be boring for many but we're at the age that partying will cause us to throw a hip out. And how do you like the new blog layout? Reflection of Sanity definitely started 2015 with a major makeover. I have to give a huge shoutout and thank you to the beautiful Victoria who blogs at VVNightingale because this was her creation. She was so lovely to help me creating this new layout and I honestly am over the moon about it. 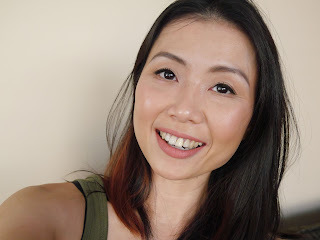 Today I will be reviewing three drugstore volumizing mascaras, none are new and I think many are already familiar with these but I am sharing the results I had with each of them. Bear in mind that I have stick straight, short and sparse eye lashes so it might work differently for anyone who has long, luscious and naturally curled lashes. I will be perfectly honest, I hated this mascara when I first used it and I continued to hate it after 3 weeks. The formula was too thick and wet which did no favour for my lashes. It made my lashes clumpy, spidery and the curls instantly dropped. As I said, I hated it. I ignored it for close to two months until recently when I was doing a mascara purge. To my surprise, this is now brilliant! The mascara has dried a little and the result was complete different. I only need one coat for amazing volume and it also gave my lashes some length. The unique wand helps to separate my lashes and it also holds the curl. It lasted the whole day without any flaking. What can I say? This has been a major turnaround, from hate to extreme love. If this works for my stubborn, barely there lashes, I think this would be a winner for many. I have read so many amazing reviews about this mascara so I had no choice but to pick it up to try despite it being bloody bright pink. Everything looks promising at first sight, big bushy wand, how can it go wrong? I am a fan of Maybelline products in general however, I have to give a thumb down to this. The formula is perfect, not too wet and neither was it too dry but that's the only good I can say about this mascara. It didn't give me any volume or length and I needed three, yes three coats to see some differences. It did a decent job with holding the curl but nothing wow about it. And for some reason, I keep poking my eyes with the darn wand! I don't know if it's the shape of the wand or just my clumsiness, it has been a painful process applying this mascara. Not a fan. Another favourite amongst beauty bloggers which was the reason for my purchase. Like the Voluminous Butterfly Intenza, the formula was too wet at the start but after a couple of months, it has dried to the perfect texture for me. The wand takes some getting used to as it does feel a little flimsy due to being flexible but the tapered brush is just perfect. I love how easy it is to reach the inner lashes without poking my eyes out. It gave my lashes a good volume but it doesn't give much length. I only used a maximum of two coats because three coats would make my lashes look spidery. It did a decent job at holding the curl which I like. Frankly, I'm not sure if I will be repurchasing this mascara. It can be a little clumpy and I personally wish it's more lengthening. I am still on the lookout for my 'holy grail' drugstore mascara and so far I haven't had much luck. Do any of you have a favourite drugstore mascara? Please share what are your favourites in the comment section because I would really love to check them out too. Have a fabulous weekend, luvs!